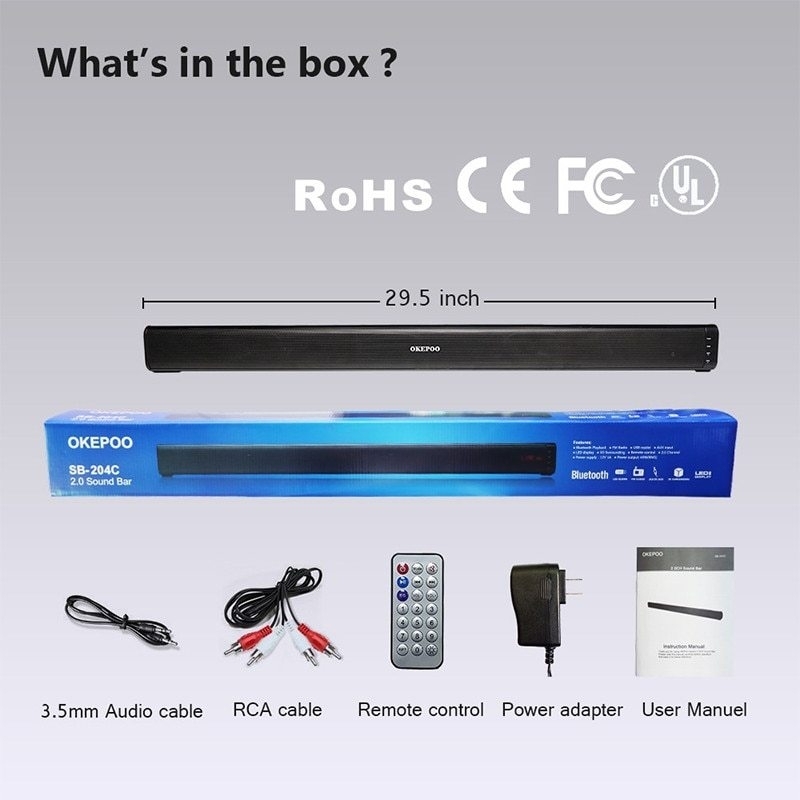 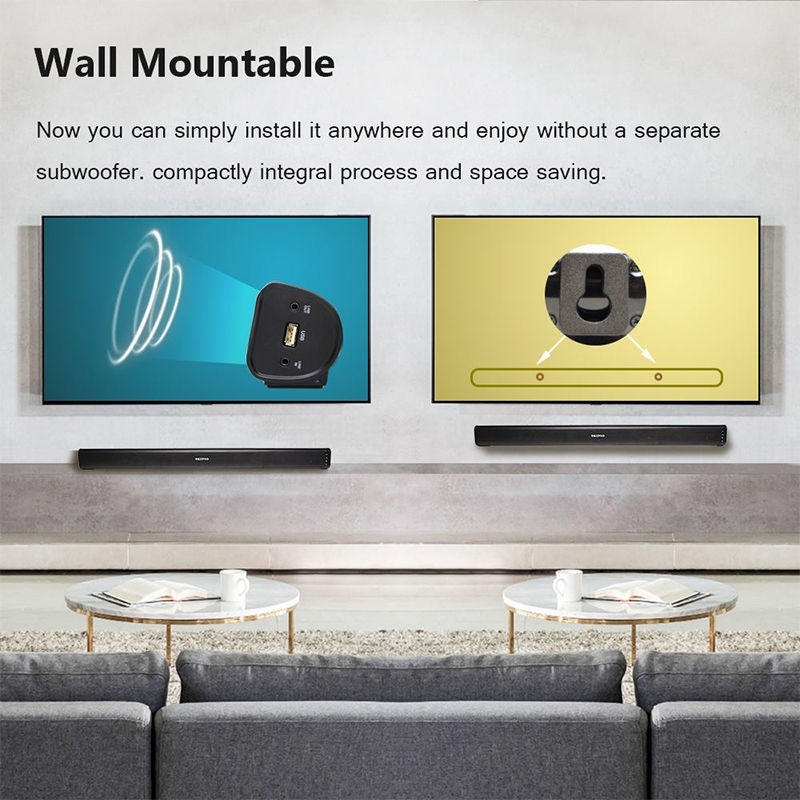 ♫ 3D Surround Sound Bars ♫ OKEPOO TV sound system is a one-piece high quality sound bar that brings noticeably better sound to all your favorite Smart TV programs. 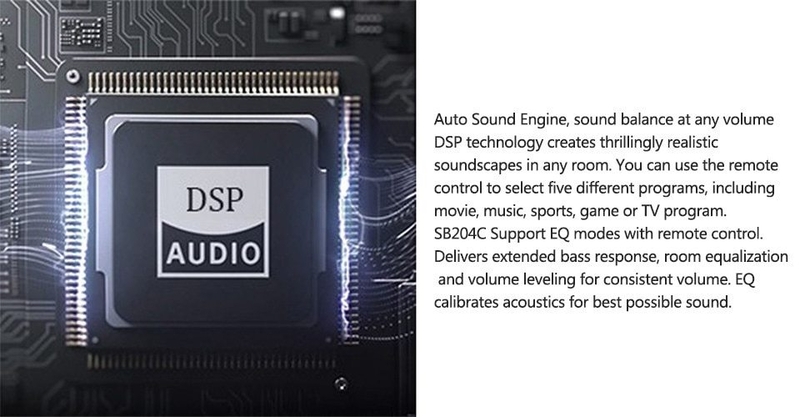 It’s engineered to help clearly reproduce everything from dialogue to details. 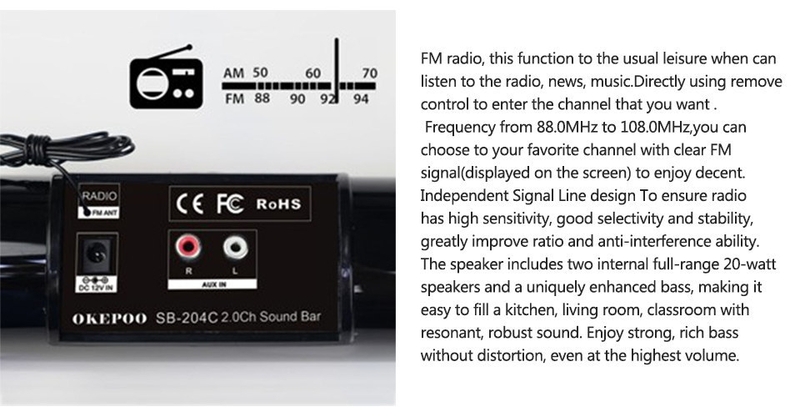 And for even more clarity. 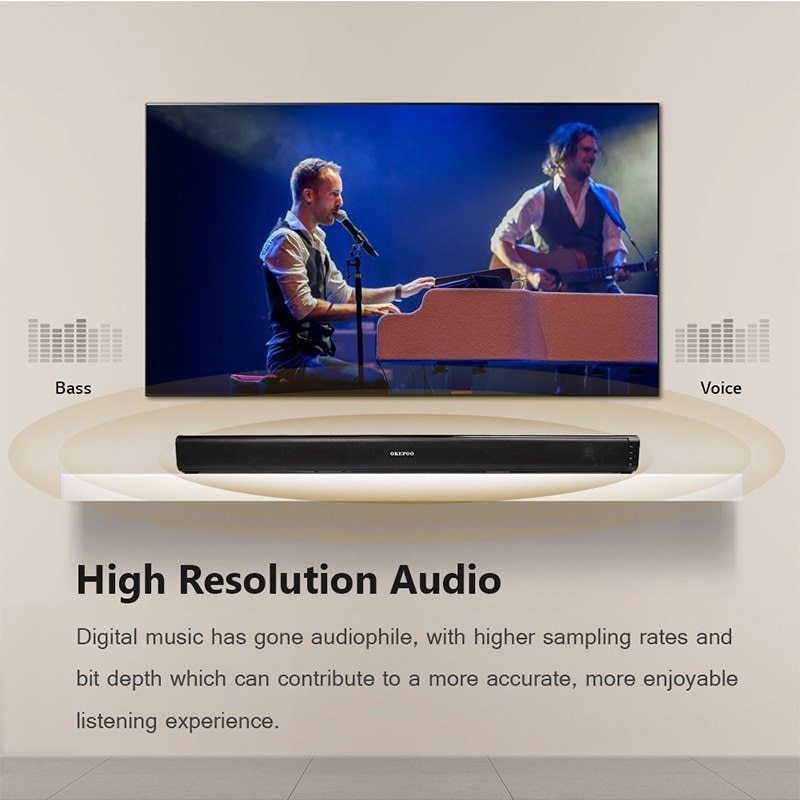 ♫ Stylish and Compact ♫ Nice size 29.5 inch with 2 x 20w full-range speakers, In simplistic elegance, allow the Sound Bar to perfectly complement its surroundings. 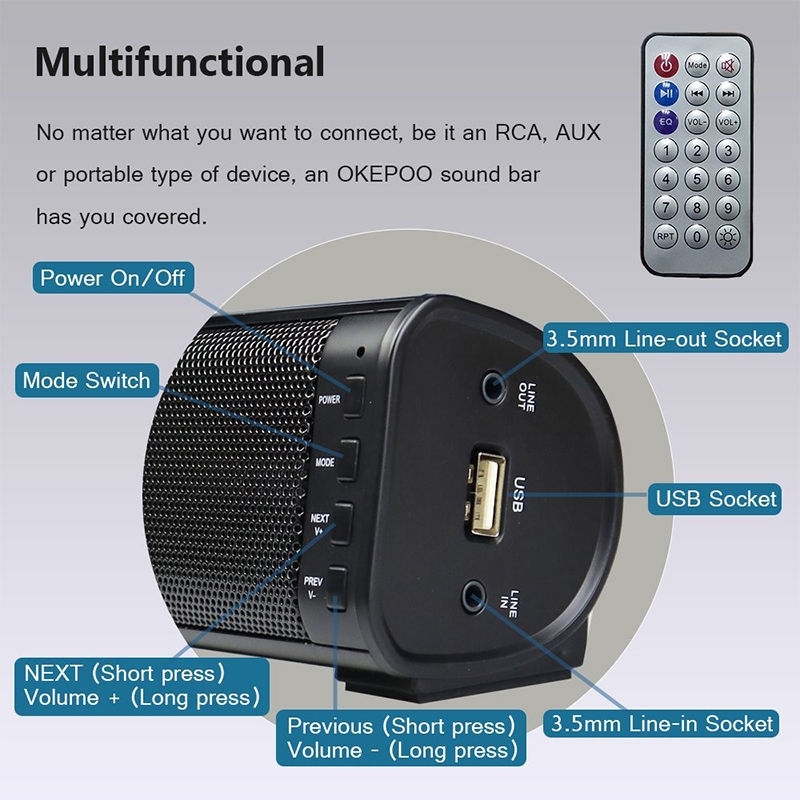 Specifically designed to match and enhance your TV/PC/Phones/Tablets. 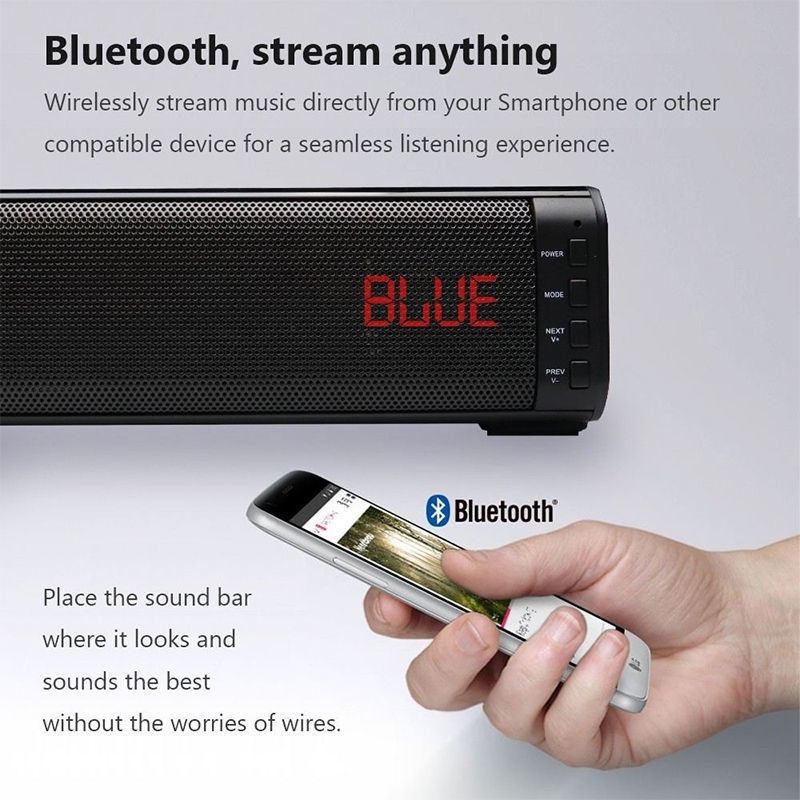 ♫ Wireless Connection ♫ Sound bar with built-in 4.1 Bluetooth wired technology, offers seamless streaming from Bluetooth-enabled mobile phone, tablet, PC, Smart 4K television.Listening to music with a tap of a finger from anywhere in the room.